While conservative Americans wish Speaker of the House John Boehner would show some backbone, the New York Times seems intent on wooing his ego, calling him in the direction of compromise. An official now says there could be as many as 13,000 people who live functionally as slaves in modern Britain. It's a figure four times that of previous estimates. These include domestic workers, women forced into prostitution, as well as field, factory and fishing boat workers, according to the UK Telegraph. Has the number risen in recent times, or has it always been under counted? Regardless, I have to wonder if Britain's obsession with preventing its people access to personal arms is contributing factor. 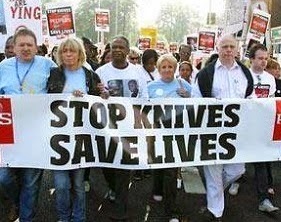 The British are not only denied possession of firearms, knives are now becoming taboo. Even passively defending life or property can get you in serious legal trouble. A population that's disarmed and conditioned not to defend itself is a population that's being conditioned for slavery. So yes, I'm not at all surprised Britain now finds large numbers of its people now live under slave-like conditions. I like this idea. But double the recommendation of installing a grab-bar before trying it at home. Have children (or adults) stomp, march, stomp, and dance on the laundry. 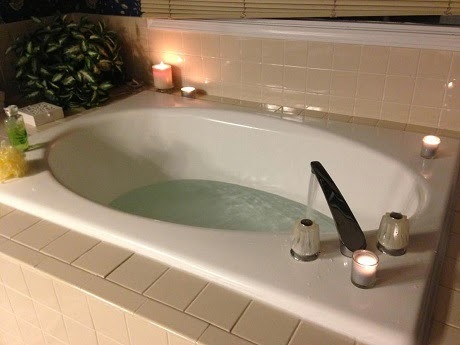 Installing a grab bar all around the tub will help avoid mishaps. This will get the dirt out, and works best on heavy work clothes, which are the hardest to wash by hand. I can almost hear the off-key singing. 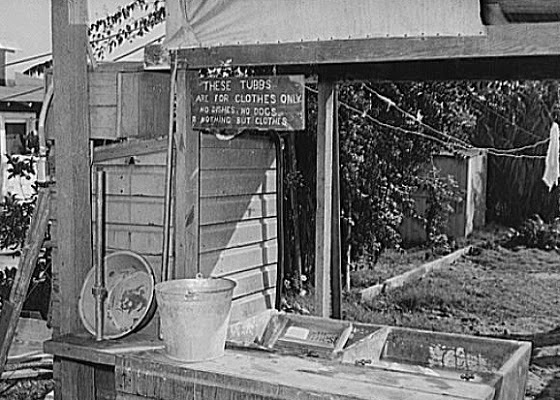 "Oh, I've been stomping on the blue jeans, all the live long day... "
Sign says "These Tubbs [sic] are for clothes only. No dishes, no dogs. Nothing but clothes." A band of armed black Ferguson residents took up positions to protect a white owned business. We have the U.S. government making continuing desperate moves to paper over our rising national debt problem. 2015 promises to be uglier. Ugly enough that it should make you wonder, what's gonna be left by 2016? Update: Don and I will expand on these topics and more on our December 5th radio program. Is re-gifting a legacy firearm among the options you'll consider? What do the Battle for Seattle, Occupy Wall Street, and Ferguson, Missouri all have in common? Connect the dots. What's happening in Ferguson is about more than Mike Brown. The dead are easily exploited. With Obama and Holder hoggin' all the headlines, you know Joe's gotta feel left out. I wish every congressman and senator in DC would have to view this. And then have to justify their complicities in the madman's fundamental transformation. Will you honor the day, and give thanks as intended, or be seduced by early Black Friday sales vending cheap stuff from China? 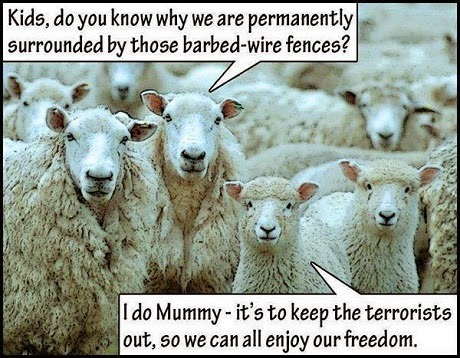 The Obama administration, its appointees and bureaucrats keeping driving the wedge where ever they can. Companies are preparing for a controversial new federal rule that will force them to disclose just how much more the top boss makes than the rank-and-file worker. By year-end, the Securities and Exchange Commission may adopt a regulation requiring most public U.S. companies to disclose the ratio of pay between their chief executive and their typical employee. At a time when pay disparities are a hot political and business issue, the coming rule may put businesses in the sticky spot of having to explain why the highest executive is rewarded so richly while regular workers make comparatively little. The proposed rule sounds like a perfect complement to an Elizabeth Warren (or Hillary Clinton) presidential bid. Keep stoking the fires of class war. So much of what Obama and his team do now reminds me of an article I read a few years back. One where a young collegian named Obama reportedly longed for a Marxist revolution in America that he seemed sure was coming. Chicago cop apparently didn't like being suspected of DUI by another agency's officer. It's alleged the Chicago cop pulled his gun and opened fire. Having Van Jones, the former (so some say) communist, former Obama White House czar, and fan of 2011's Occupy movement on the ground in Ferguson and having him play a major on-camera role was a really stupid move on CNN's part. I'm not the only one to think so. But all the good reporting by Carroll and others at CNN was seriously compromised by the terrible decision to have political commentator Van Jones on the ground with Lemon. Was it CNN's intent to intentionally inject bias? Jones was so far out of his depth and so far off in his assessment of the actual situation all night that you had to wonder if CNN President Jeff Zucker or any of his executives were actually watching the coverage. He was out in front again last night, clearly working to pull CNN's live coverage in a typical Jones direction, at the same time exploiting trouble in Ferguson seemingly to fit his personal political agenda. 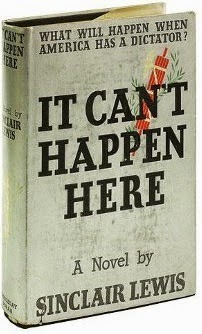 "It Can't Happen Here" was required reading in one of my college lit courses back in the '70s. Not an exact blueprint for what Obama's doing, but there's enough relevance to make reading it worthwhile. If this report is accurate, the cut-n-run GOP is at it again. No surprise. Fits their profile. The GOP appears to be dumping its base even faster than it did in 2010. If GOP's gonna do the right thing, they're gonna have to be dragged kicking and screaming. With a swarm of illegals already enrolled, New York City schools are being told to expect more arriving immigrants. U.S. media seems to see recent moves by NATO as some kind of significant deterrent build-up to counter perceived Russian aggression. Media reports say eighteen NATO fighter jets are now stationed in countries near the Russan border. Eighteen friggin' fighter jets won't deter Putin. If that's the best NATO can scrounge up after all these months, and all Putin's provocations, the Kremlin has to be encouraged by our LACK of response. Meanwhile, Russia's apparently moving more fighters of its own near its border. And for the Russians, I'd suspect large numbers of reinforcement aircraft can be rushed forward on short notice, and they'd likely still be in range of logistics for resupply. Is NATO capable of doing the same? Poor Bill. Is he still relevant in Obama's transformed America? http://t.co/gTLVOg3d2X Save Bill. Defeat Obama. GOP, are you gonna let Obama get away flagrantly destroying how American government works? Maybe we need to send SNL's Bill video to Republicans in Congress. Maybe it's simple enough to make Boehner and his get-along-gang understand how dangerous it is what Obama's done. The somewhat infamous former DC mayor Marion Barry has died at age 78. I make mention only because Barry was recently in Georgia, and caught some attention for his attendance at an Atlanta gathering of Democrats in support of Michelle Nunn (senate candidate) and Jason Carter (candidate for governor) trying to win statewide elections. Nunn and Carter later lost their races by wide margins. Obama commits our troops to another year of combat in Afghanistan. How long before the Bloomberg types try this here? For daring to oppose Obama's rise to emperor, Republican leadership may be signaling it intends to reduce Sen. Sessions clout in the senate. There may be more Republicans serving on Capitol Hill come the new year, but it appears their leadership has no more will to challenge Obama in practical, effective ways than it's had for the past four years. The White House es ahora La Casa Blanca. Translation: Welcome to the Divided States of Obama. The White House is now La Casa Blanca. More immigrants a comin', train's just around the bend. They come to see Obama, he says he is their friend. Get on board, little children, get on board. Obama makes room for many a more. For nearly six years, the GOP in DC has played appeasement games with Barack Obama. Last year, you, Sen. Isakson, even rounded up GOP senators so Obama could have a crack at lobbying them over dinner. Obama grows bolder with each abuse he gets away with. He and his wife promised fundamental transformation in 2008, and it's looking plenty ugly. Michelle stressed then that Obama's goal would be to change our traditions, and change our history. And they're making ugly strides to erase the free standing America as we knew it. You trusted Obama to negotiate an arms deal with Russia. And Russia now puts bombers and boomers off our shores with alarming regularity. Your GOP has failed to stand and fight for budget reduction that you all promised. It's time to stop surrendering. Even if your surrender is crafted to appear to be something else. Do the right thing. Stop Obama's immigration power grab. The electoral victory earlier this month didn't happen out of trust for the GOP. It happened because the GOP offered an expedient hope of forcing some kind of Obama accountability. So now it's time to do the right thing. Defund him. Shut him down. And please, no games where you kick the can down the road, and he can override your "efforts" with a veto later. I sent a similar letter to Georgia's other senator, the soon to retire Saxby Chamblis. The ball's in our court people. Write your congressman and senators. Regardless of their party affiliation. State your case clearly and concisely. It's time to put pressure on those we've elected and sent to DC. Immigration, Obamacare, Racial Divide, and Climate Change. Think of them as the four horsemen of Obama's effort to orchestrate an American Apocalypse. Conservatives came out strong to give the GOP the House in 2010. The GOP repaid 'em by dismissing their interests, publicly chastising their viewpoints, and steering a course that largely appeased Obama and facilitated his plans for fundamental transformation. Conservatives again turned out in droves to oppose Obama, and in the process delivered another strong showing for the GOP, this time giving them the Senate. And the GOP? Already sharpening the knives they'll use to stab those conservatives in the back. Carefully choreographed moves are in the works for Republicans to say they're opposing Obama's immigration power grab but in the end, Obama gets what he wants. By design. Come 2016, we get the same disingenuous Republican scam all over again. You'll be told to vote Republican to stop the Democrats, and if they win, Republicans will turn around and be just as bad, maybe worse. Want to save America? Turn your wrath on the GOP now. Call 'em out on their traitorous intent. Elections have consequences. So should performance after the elections. Time to demand Republicans deliver as promised. As an opposition party. Not as Obama and the Chamber of Commerce want them to. Obama's go-it-alone immigration change speech was a dud even by Obama standards. He spoke of immigrant fathers working two or three jobs to support their families, completely overlooking the millions of citizens who can't find one job. He kept telling us who we are as a nation. We're the same nation he pledged to fundamentally transform six years ago... His wife once said we'd have to change our history and traditions. He used his Gruberesque tale of a secure border, and claimed he's deported more illegals than anyone. Egad, Obama even tried to quote a little scripture. He looked like he didn't believe half what he was saying. And that he knew even the low infos weren't buying it. He seemed to keep things intentionally bland, perhaps hoping his specific words will soon be forgotten, that there will be no soundbites from the speech going viral. Now he'll wait for Republican or conservative push back. And he'll claim they started the fight. Obama chose today to make his immigration power play. November 20th is Revolution Day in Mexico. The day commemorates the beginning of the Mexican revolution that ran from 1910 to 1920. The revolution was begun by the arm struggle against dictator/president José de la Cruz Porfirio Díaz Mori called for by Francisco Madero. The holiday celebrates the social upheaval of 1910 and that which emerged as the current form of government in Mexico. Much like the American Civil War shaped the modern United States, the Revolution of 1910-1920 shaped the following century of the fundamental direction of Mexico. Revolution Day in Mexico is now commemorated on the third Monday in November. But prior to 2006, it was celebrated November 20. I've said it for years, Obama's fundamental transformation is revolution. But Obama continues to count on the ignorance of Americans to miss what he's pulling off right before their eyes. The GOP establishment still seems to have its caboose hitched behind Obama's engine of fundamental transformation. Americans voted Republican to stop Obama. Will the GOP rise to the occasion? Or will Republicans do their best to mimic a 1980s cartoon series? Obama works to undermine our national fabric. His fundamental change is about breaking the American dream. Saw this online a couple weeks back. And the words of those he closely advised on Obamacare. Gruber's right. Stupid people let Obamacare sail through to passage. I have no doubt the same type of misleading tactics are constandly exploited in other areas as well. Immigration "reform" and the left's "climate change" agenda would be two key examples. If you don't yet see the disdain the these government and academic elites have for you as an American citizen, then I guess Gruber's right. You really are stupid. Poor old Bob Schieffer. The elder CBS newsman says he was "dumbstruck" upon hearing Jonanthan Gruber's disclosures about the unsavory, deceitful way Obamacare forced on the American people. If millions of Americans, including myself, could see Obamacare was a ruse full of false promises, how'd the mainstream media miss it? Maybe Schieffer really is dumbstruck by Gruber's confessions bragging. But there's gotta be others in the news media who saw Obamacare for what it was, and either held their tongues or cheered in on anyway. What kind of tales will they now spin to excuse their complicity in perpetrating the Obamacare lies? There's talk in Washington that Republicans won't give Obama a long term spending plan to finish out the fiscal year, that they'll instead opt for a short term stop-gap measure, giving them fiscal clout to counter Obama's fetish for executive order immigration amnesty. Are Republicans finally ready to put Obama on a short leash? Or will they cave at the last minute like they've done so many times before? 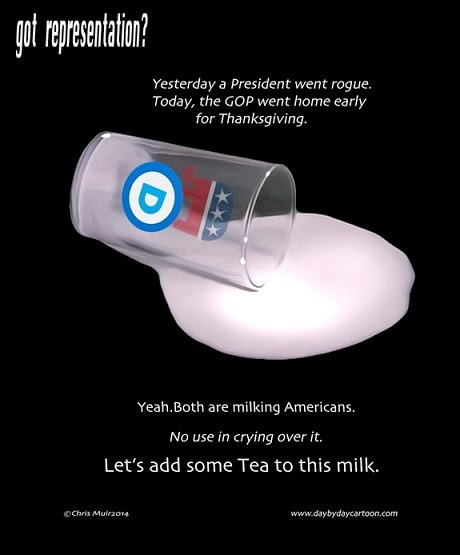 Remember, Democrats still control the senate until the first of next year. When's MIT going to weigh in on the Gruber fiasco? Jonathan Gruber is an economics professor at Massachusetts Institute of Technology, and the school's name was frequently attached to Gruber's Obamacare analysis when the legislation was being shaped five years ago. How is MIT reacting to Gruber's now confessed use of deception in crafting Obamacare legislation and its sales pitch to the American people? Does MIT consider Gruber's use of deception, and his exploitation of the school's name and reputation unprofessional or unethical? I've yet to see any comment from MIT. Maybe MIT doesn't know what to say. Maybe this is a classic case where education elites knowingly conspired with political elites to deceive and win more control over the American people. Who knew what at MIT, and when did they know it? We have a nearly 30-year-old fiberglass garden tub in our master bath. The problem with these old fiberglass tubs is that they tend to develop hairline cracks with age. Our did just that, and was drip, drip, dripping down into the kitchen. Replacement would have been very pricey, and might have required modification of the tile base. So we went with a service that patched the crack, and reglazed the whole tube, enhancing the appearance, and supposedly reinforcing the aging fiberglass. Cost was under 600 bucks. Looks great. Time will tell how well it holds up, but I've done do-it-yourself patches on fiberglass tubs in past that lasted for years. And my skills in this area are far from professional. The Hitler bunker scene from Downfall has to be one of the best ever put to film. It works well with almost any narrative, including this parody that gives a good bashing of "tacticool" firearms. Jonathan Gruber, who's recently outed deceptions used to sell Americans on Obamacare, was once a darling of the Left for his ability to craft and sell the program. The White House touted his economic analysis, though it failed to disclose Gruber was being highly paid for his glowing pre-passage asessment. In 2012, the New York Times profiled Gruber as a "wizard" behind Obamacare. Not only did Gruber work directly for the White House, the White House loaned him to Congress to work directly with staffers there. The Times story makes it even more ludicrious that Nancy Pelosi claimed earlier this week not to know who Gruber was. Pelosi's office has since tried to backtrack, saying the former House speaker didn't know Gruber personally, but even that seems unlikely considering Gruber's high profile role in engineering passage of Obamacare legislation. Loretta Lynch, Obama's attorney general nominee, says voter ID laws are racist. She also claims school discipline policies are intended to separate black and Hispanic youth from education. She's been caught on video saying so. Last thing America needs is another race-baiting attorney general. In an historic climate agreement this week, the President pledged to destroy the US economy while China pledged to sit back and watch. I recently picked up a very nice "Recruit" Swiss Army knife, and I'm really liking it. Slightly smaller than the old Boy Scout pocket knife I've had for years, the Recruit has nearly the same features, and my scale weights it at only 1.54 ounces compared to 2.94 ounces for the Scout knife. There's a second smaller blade on the Recruit where a Scout knife has the awl. 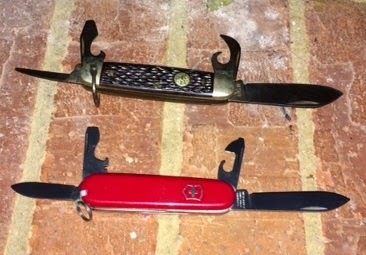 Sure, there's Swiss Army knives with bunches of more gadgets. But they can be fat and heavy. The ergonomics of the Recruit seem about perfect as a gadget knife can get. In a widely reported case, federal prosecutors working under Ms. Lynch have seized more than $446,000 from the innocent owners of a family-owned business on Long Island merely because they deposited their lawfully earned money in their own bank account in amounts under $10,000. The government hasn’t even alleged the money was the proceeds of any crime, yet it has denied the family due process by holding the money for two-and-a-half years without any hearing before a judge. Johnson's comment is part of a letter to the editor appearing this week in the Wall Street Journal. It's time we weeded civil forfeiture out of the system, not elevate another harsh practitioner to the top of the government bureaucracy that's abusing the system. Over the past few years, there's been a series of disclosures about Obamacare. Most recently, video has surfaced of an Obama health care architect named Jonathan Gruber saying America was sold Obamacare under false pretenses. Well, the White House now claims Gruber's claims are not true. But wait, I remember a Democrat senator who previously said something that dovetails with Gruber's assertion. Sen Kirsten Gillibrand (D-NY) said last year "everyone knew" Mr. Obama himself spun his Obamacare pitch to the American people in a deceptive manner. And if Obamacare's passage was transparent, why did Nancy Pelosi also previously brag it wasn't? The same White House that once lied to us about keeping our health care plans or doctors now asserts that claims that it lied about Obamacare is lie. This is the kind of stuff that happens when sheeple blindly follow a false messiah with huge gaps in his past. Got a rollback on a property tax assessment hike today. County assessors went far afield to find 2013 comparable sales to justify a hike on a rental property I own. But Zillow.com showed me two comps on the same street as my house. One was for $28,000 less than my new assessment, the other $11,000 less. I always use sites like Zillow to check comps for myself when I get a property assessment notice. I've found county assessors often overlook closer-in, more comparable sales in resetting property values. Not a complete victory today, but the Board of Equalization (a property tax appeals board provided for under Georgia law) knocked seven-grand off this particular property's 2014 tax assessment. The real payoff will likely come in the next couple of years. Flippers are working the neighborhood, and some resale prices this year are getting back near 2006-07 "bubble" levels. Because my assessment has been adjusted by a Board of Equalization, the board's revised assessment is locked in for three years. Of course, there's a chance the economy and the housing market tanks again. But I believe Georgia law still allows me to appeal a locked-in assessment if prices on the street collapse. The grand jury weighing the Micheal Brown shooting could come back any time now. If you live in - or frequently pass through - communities that may be impacted by direct or copycat trouble, know alternative routes if unrest blossoms along the paths you usually take. Also a good idea: Stock your pantry and fridge now, and keep at least a day or two ahead. Depending on where you are, it may be best to avoid unnecessary trips out if things start getting nutty. More hassles for the private sector to comply with, resulting in higher costs for consumers. More nudges that may push struggling businesses over the edge, prompting them to give up, close their doors. 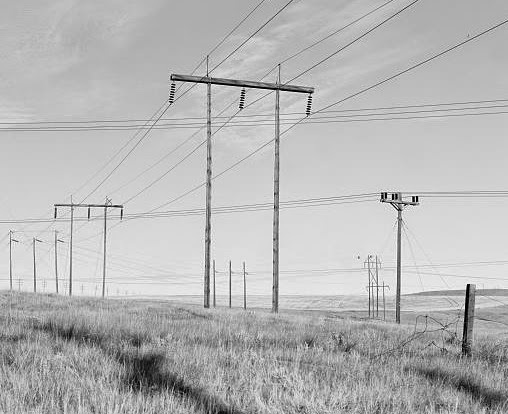 The Obama bureaucracy further tightens its grip around the neck of the American economy. Folks have been arming up since Obama's been president. And gun related homicides have been trending downward. President Obama comes out for regulation of the Internet. The regulation plan is all gussied up as something called "net neutrality", and it probably sounds pretty good to the naive. Yes, there may be flaws with the way some Internet providers skew things now. But a progressive push for net neutrality opens Pandora's box, puts government in a position of control including potential for control of content. In an era where government is either simply sloppy or has a hidden agenda for most everything it does (sometimes both), now's not the time to give it potential to reign over the Internet and Internet content. Net neutrality may sound good for some reasons. But I don't think comparisons to Obamacare should be dismissed out of hand. Not with the current administration that's running Washington, not in light its continued commitment to fundamentally change America. She has been a member of Eric Holder’s Advisory Committee of U.S. Attorneys, and as such should be questioned about his policies. These include his use of race as a political cudgel—especially in law enforcement. Mr. Holder has used “disparate impact” theory to coerce settlements from banks and other businesses based on statistics but no proof of discrimination. A federal judge recently threw out the Administration’s disparate-impact rule in housing, and the Supreme Court is hearing a separate legal challenge. As a prosecutor Ms. Lynch has also been aggressive in pursuing civil asset forfeiture, which has become a form of policing for profit. She recently announced that her office had collected more than $904 million in criminal and civil actions in fiscal 2013, according to the Brooklyn Daily Eagle. Liberals and conservatives have begun to question forfeiture as an abuse of due process that can punish the innocent. Sounds like she's a pro at statistical coercion, seizure and wealth redistribution. And she's has insider familiarity with Holder's racially charged policies. Ms. Lynch seems a perfect fit for the Obama's administration. But that's not synonymous with being good for America. 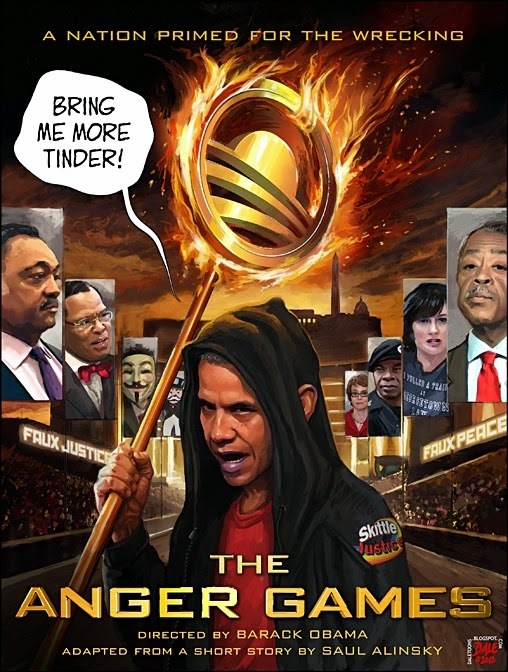 Ms. Lynch seems someone chosen to continue with Obama era business as usual, and to keep the administration's misdeeds under wraps than she was chosen to represent and carry true justice for the wider interests of all the American people. Make a point to contact your senators. Lynch deserves a thorough vetting. Meanwhile, the Obama team has built their pitch for a Lynch confirmation around her race and gender, whipping up political and media excitement for the first African American woman attorney general. How many senators may be too afraid of being called racist and sexist if they demand anything beyond a cursory review of Lynch's record or other aspects of her suitability to serve in the post she's been nominated for? Noonan thought Barack quite the hottie back in 2008. She gushed and gushed over Obama and his candidacy right up to the election. Poor Peggy. Finally seeing what some of us saw - and said - long, long ago. Still, Noonan opines Obama seems only "mildly delusional." I think her mind continues to underplay what's unfolding. 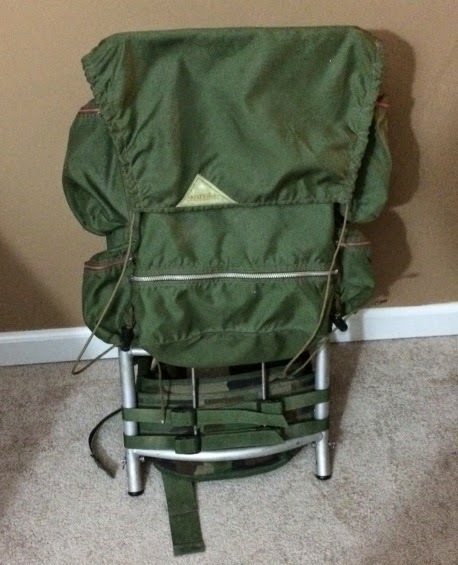 Picked up an old Kelty external frame backpack for cheap on Ebay but, alas, it came with shoulder straps that had hardened with age to the point of being unusable. Good frame, good pack. Good hardware holding it all together. Everything good but the shoulder straps. Used to be, you could buy replacement shoulder straps at most sporting goods stores. But browsing online, I found nothing of a commercial nature that came close to looking like a fit. I read Kelty does sell parts for its vintage gear, but blogs and message boards said it's pricey. And I'm not going to put a lot of money into a 35 dollar pack. Pulled a set of MOLLE straps off a milsurp pack in the basement (a pack I'll never use, just too bulky and heavy). Decided to use the waist belt and padding as well. Gotta say, I'm pleased with the way it turned out. Yes, it's just a wee bit heavier pack than it was, but as it originally came, the 29 inch frame seemed a little small for my 19 inch torso. 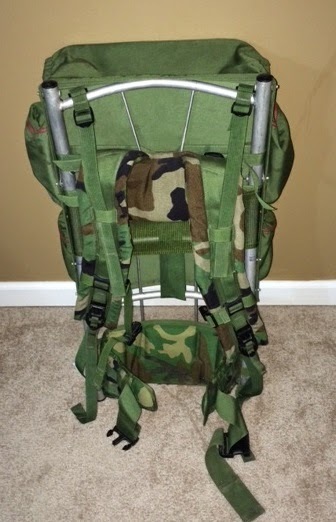 The MOLLE gear strapped on in such a way to give much wider range of adjustments. 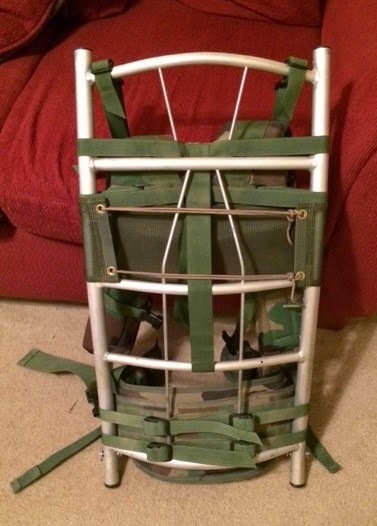 I did keep the original upper back cushion, it helped to stabilize the upper MOLLE pad. No load testing yet, but everything fits real snug. Worst case, I may need some plastic tie-downs to prevent any up-down slippage. The frame is still plenty accessible for attaching a sleeping pad and/or tent below the pack. I actually first thought ALICE straps would be a good fit for this pack, and I could have kept the original Kelty waist belt. But I had the MOLLE gear on hand, so the old Kelty got a MOLLE makeover. No modifications to the frame whatsoever. What I've done is completely reversible should I ever find commercial straps. But I think I'm going to like this backpack even better the way ti is now. Today's Don and Doug program was a solid one. Yes, I know. I'm prejudiced in its favor, but we jumped on some topics not yet heard in other media. We opened with with Ukraine and reports Russian troops and hardware had crossed the border. Don had excellent commentary as to how Vlad Putin seems to be reapplying some old Soviet style strategy. We also talked a bit about how the Saudis appear to be engaged in economic warfare against U.S. oil producers, dumping their product in the U.S. below what they're selling to other nations. Political analysis and midterm commentary, as previously advertised, followed these breaking topics.